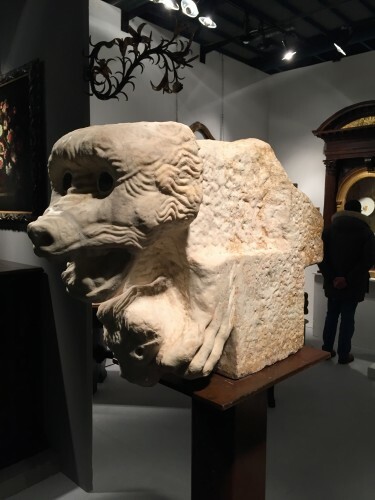 Marble Capital “Lion and Lamb” White marble, northern Italy, Xth century. 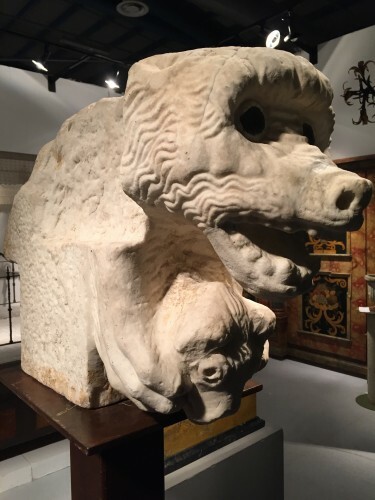 This pre-romanesque sculpture in white Carrara marble had next to its artistic value, also an architectural function: it is a ‘tramezzino’ or dividing capital on top of a pillar on which on both sides, you can see the horizontal protruding resting points for two arches. 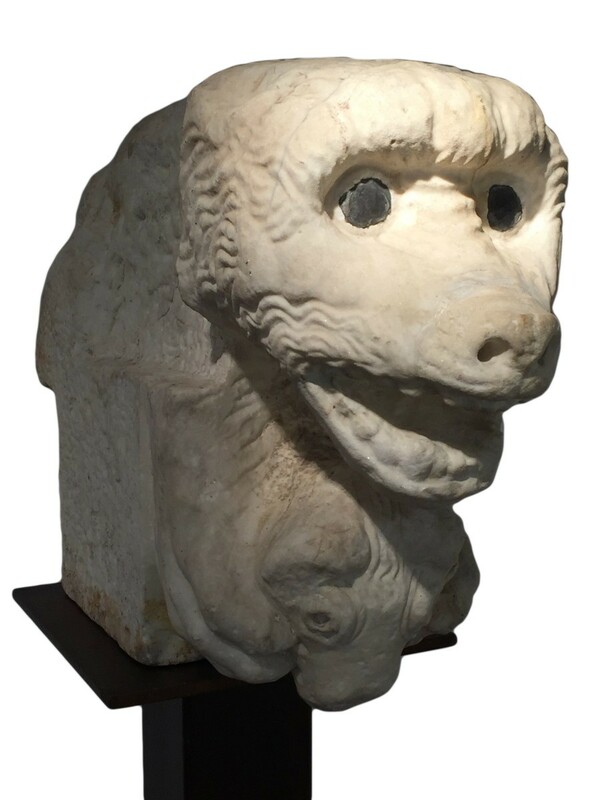 It was positioned at considerable heigth and, therefore, it has been sculpted in a way that the beholder looks at it from underneath. 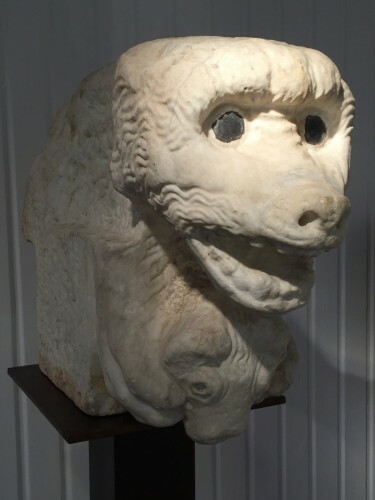 Liquid lead was added in the eyes to enhance their dramatic effect - seen at a great distance by the people underneath. 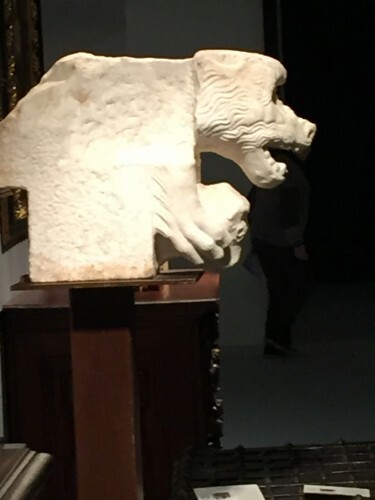 The lion is about to devour the lamb as his mouth is wide open and his claws are deep in the flesh of the prey. 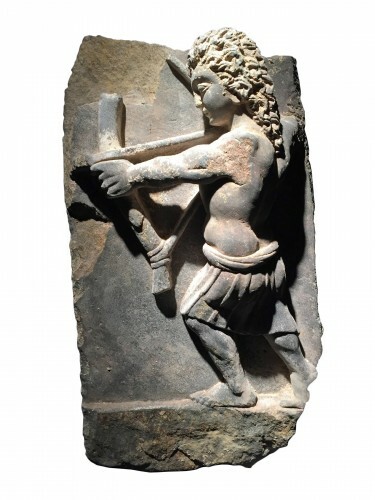 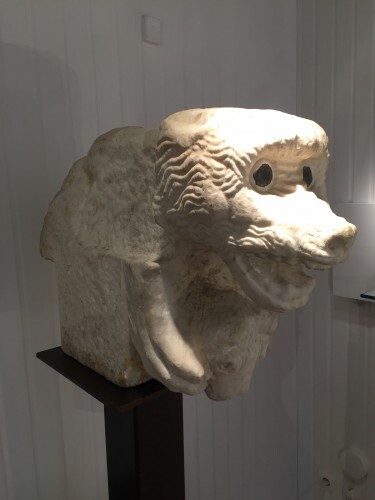 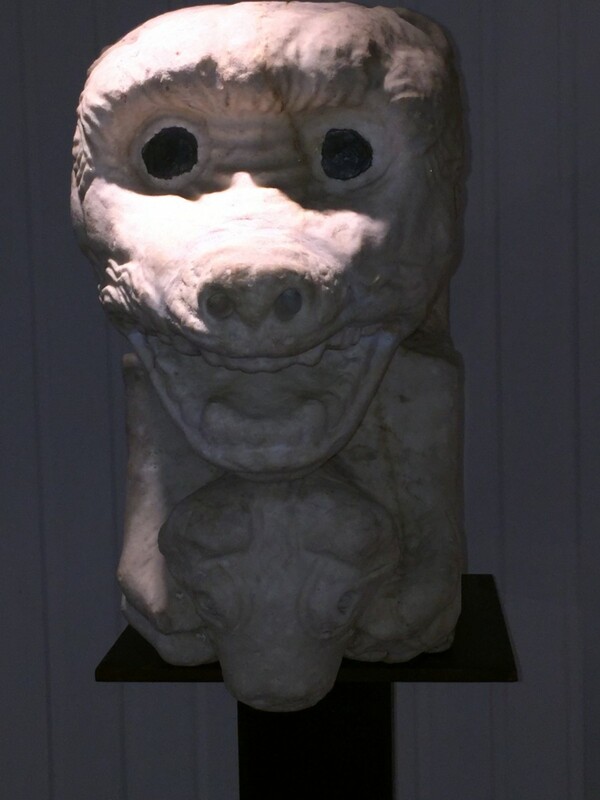 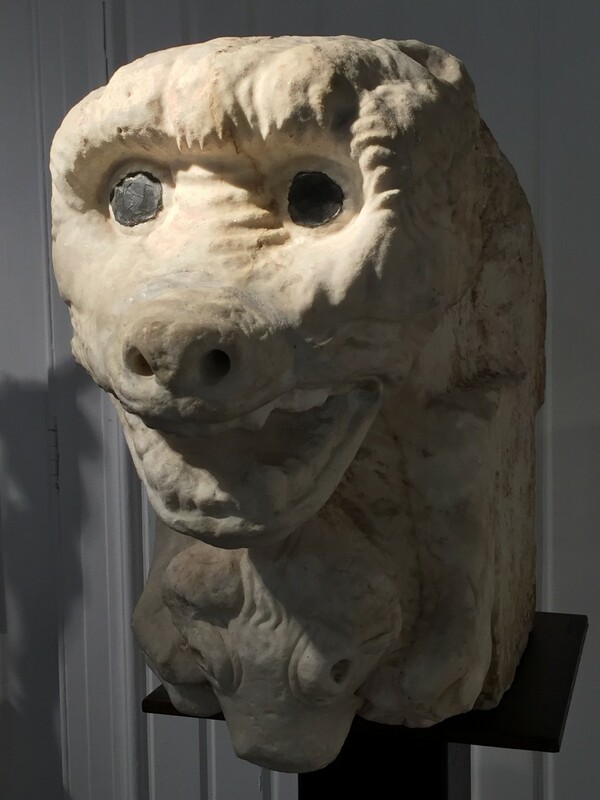 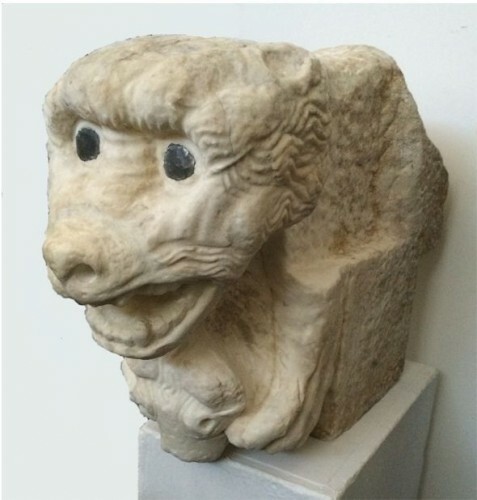 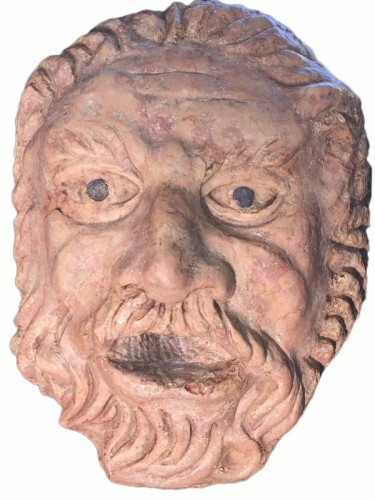 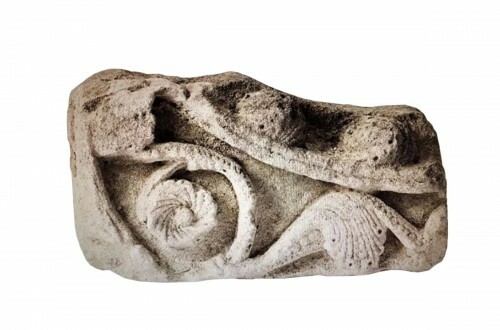 This extremely rare sculpture is stylistically related to the ‘Bestiario’ of the Dome of San Andrea in Carrara as described in ‘Une Bibbia di Pietra: il bestiario del duomo di Carrara’ by Giancarlo Paoletti. 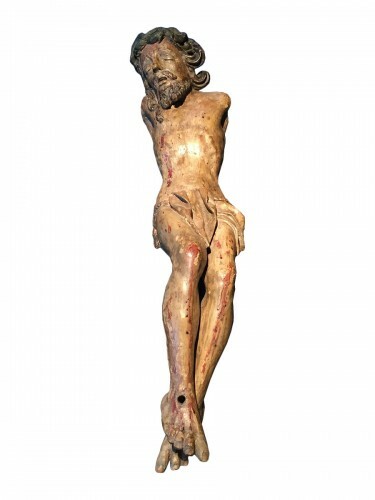 Traces of wear and restauration.